Conversion News Roundup: Keeping you informed or scared out of your mind? 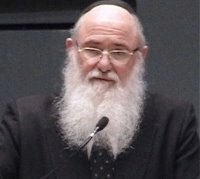 Rabbi Avraham Sherman, one of Jewcy‘s “Haredi’s Most Wanted: The 5 Worst Offenders”, has the magical power to turn non-Jews into Jews and back to non-Jews to Jews to non-Jews. Oy, I’m confused, are you? “No one will be willing to go through the trouble of converting if there is a real fear that, sometime down the road, the conversion will simply be annulled.” (Not true, there are plenty of masochists…er, lovers of Judaism.) “Amar Moves to bar rabbinic judge from conversion cases” (Jerusalem Post, 6/25/09) proving that the conversion squabble is not really about converts but about rabbis. In other news, are the Catholics still trying to convert us Jews? Well, in my case, they’re trying to convert me back. Worry. Next Post Don’t marry non-Jews or converts! Yeah, well said. And to answer your question, scared out of my mind.